A large variety of chemicals can be efficiently produced by microbial fermentation. They are used in a multitude of applications; for example, as biofuels, building blocks for polymers, food supplements, and ingredients for cosmetics. 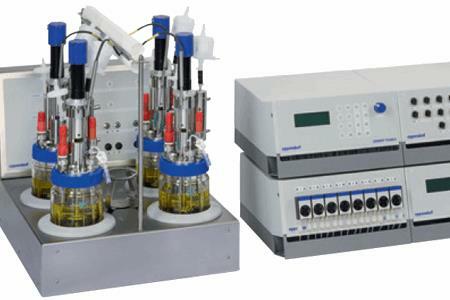 To be profitable, fermentation processes have to deliver the desired end product at a high yield and a high titer. In this application note we describe bioprocesses which were carried out by the team of Professor Wittmann at the University of Saarbruecken. They used engineered Corynebacterium glutamicum strains for the production of the compatible solute ectoine and the polyamide building block 1,5-diaminopentane. 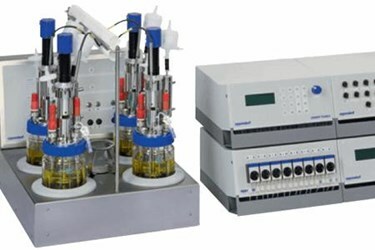 The researchers optimized culture conditions in an Eppendorf DASGIP® Parallel Bioreactor System and established high-density, fed-batch processes which delivered high titers of the desired chemicals at high yield.